Mom's Gone Bronson! : Cottage Cheese?! Oh, YES PLEASE! I am a sucker for Melba Toast and I must have just about every kind in my cupboard right now! What really tops them off for me, and which is a light, filling between-meal snack, is COTTAGE CHEESE! I bought SO MUCH Cottage Cheese this week that I can't make any excuses for not eating a good snack over a handful of terrible-for-you foods and treats! 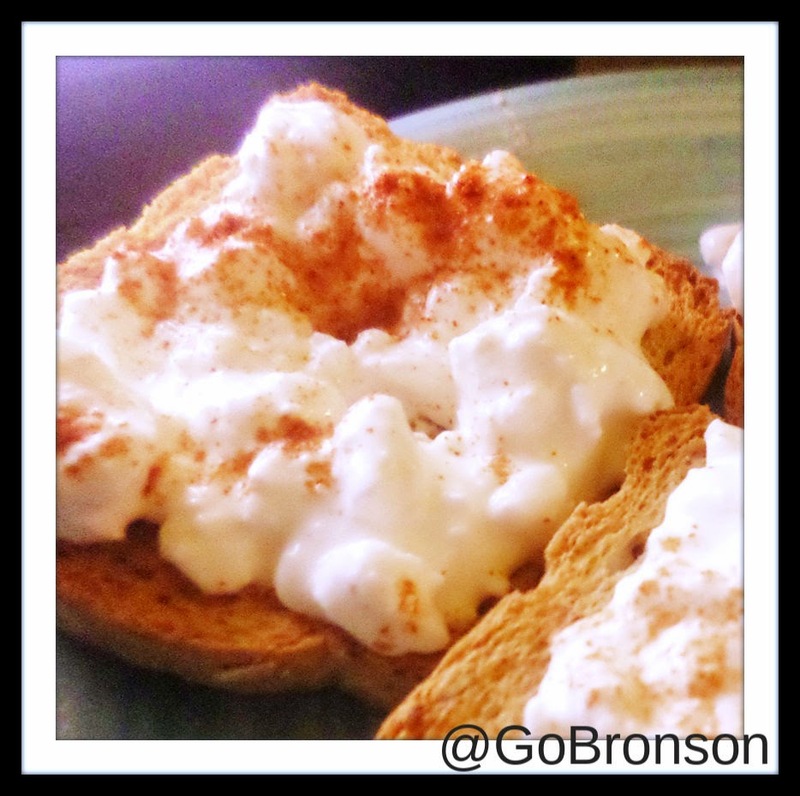 Simply just spoon on the cottage cheese, add paprika if you like it a little spicy and serve it up! I usually have 3, which feels like a good amount to me! I could eat more but I don't feel the need to and so wait on it a while after and if i'm done and feeling good, then that's all there is to it! A cup of tea or a glass of water goes down well with these and maybe even some fruit - heck, add some pineapple to it and you're laughing!